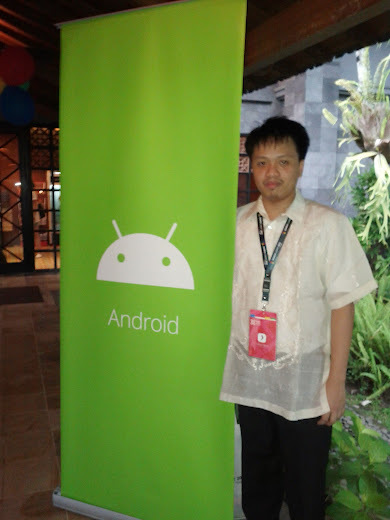 We were invited to attend the Search Summit 2013 in Hyatt Regency Yogyakarta in Indonesia from June 20 to 22. The SEARCH (South East Asia Outreach) Summit is a conference to bring together the Google communities across South East Asia: Google Business Groups (GBGs), the MapMakers, the Google Student Ambassadors (GSAs), and of course the the Google Developer Groups (GDGs). It was the first of its kind and it was a great experience to be a part of it. On the afternoon of June 19, we went to the airport, along with the other delegates from the Philippines. While waiting for our flight, the GDG managers (Celine, Josan, Anne, Reymart, Theo, Ruben and me) started our plans for the DevFests in the country for 2013. After the four-hour Cebu Pacific flight to Kuala Lumpur International Airport (KLIA) Low-cost Carrier Terminal (LCCT), we went to the Plaza Premium Lounge to stay for the night. Our flight to Yogyakarta is at nine in the morning the next day. We arrived in Yogyakarta Adisucipto International Airport around noontime of June 20 and a shuttle picked us up to the hotel. It was around one in the afternoon already . We only had a few minutes to prepare and have lunch because the keynote starts at 2:30 PM. We checked in to our rooms, took a bath and changed into our national costumes. In the first day of the summit, there were talks from different countries sharing about their communities. After that, we were separated into our own track. The best session was Dan Franc's GDG Wisdom. After dinner, we had drinks with the GDG SEA leads, Chelle, Uttam and Van. On the second day, we joined the GBG leads for Dan Franc's Community 2.0 session. In the afternoon, we had talks about Dev Updates from Google I/O, Google for Entrepreneurs, HTMl5, App Monetization, and Diversity. Then there was a cultural show near the poolside during dinnertime. The GSAs had their different presentations. After that, Josan, Anne, Celine and I went for a swim before sleeping. In the third day, we had GDG managers sharing their experiences: Samdy from GDG Phonm Penh (keeping the community engaged), Ruben from GDG Cebu (collaboration among communities), Louis from GDG Singapore (PlugFest), and Josan from GDG CDO (Student Dev Day). After the talks, we had swags exchange and GDG tattoo session.